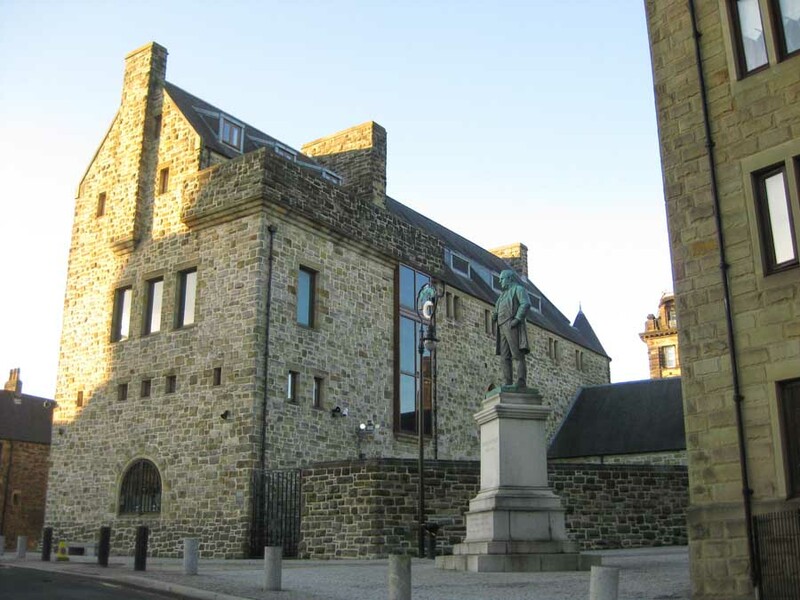 We’ve selected the principal examples of Glasgow Museum Buildings, Strathclyde. 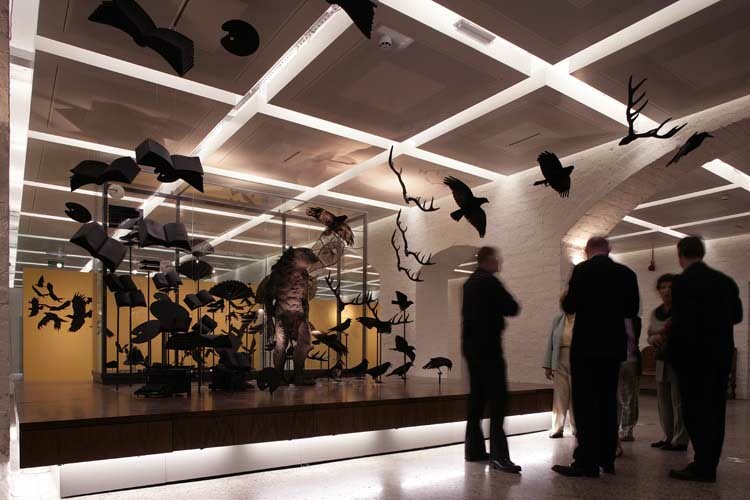 We cover completed Glasgow museums and also new building designs throughout Strathclyde. 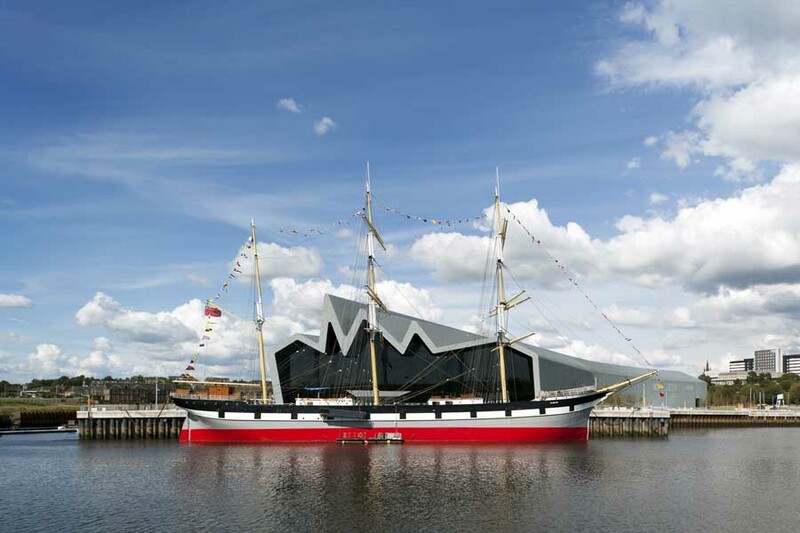 The Riverside Museum building is charcaterised by its irregular squiggle roofline, reminding us of the ripples on the River clyde but also of the sawtooth roof of the Govan shipyard across the river to the southwest. The curious thing though is that despite the riverside location and the city’s huge maritime heritage the building doesn’t have enough ships for me. Yes there is a lovely one outside, and there are some revolving on a circuit high up, but I would like to see more in the body of the kirk please! This is Glasgow’s major attraction, located south west of the city. The Collection was amassed by wealthy industrialist Sir William Burrell – a ship owner and art collector – and gathered in his house in Northumbria, just over the border into England. 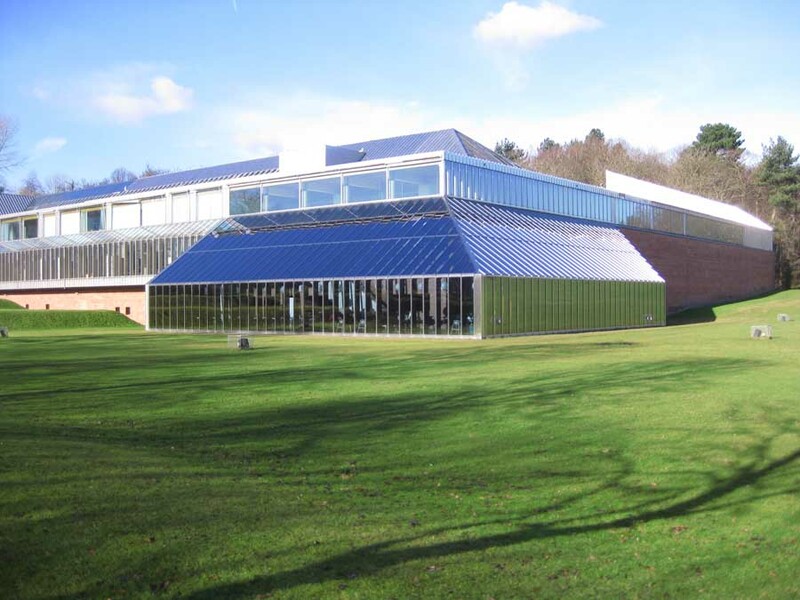 This famous Glasgow museum building opened in 1983 and is in Pollok Country Park. Charles Rennie Mackintosh building constructed in 1996 to his original plans in Bellahouston Park, close to the Burrell Museum. The building was designed in 1901 and resulted from a German competition design. 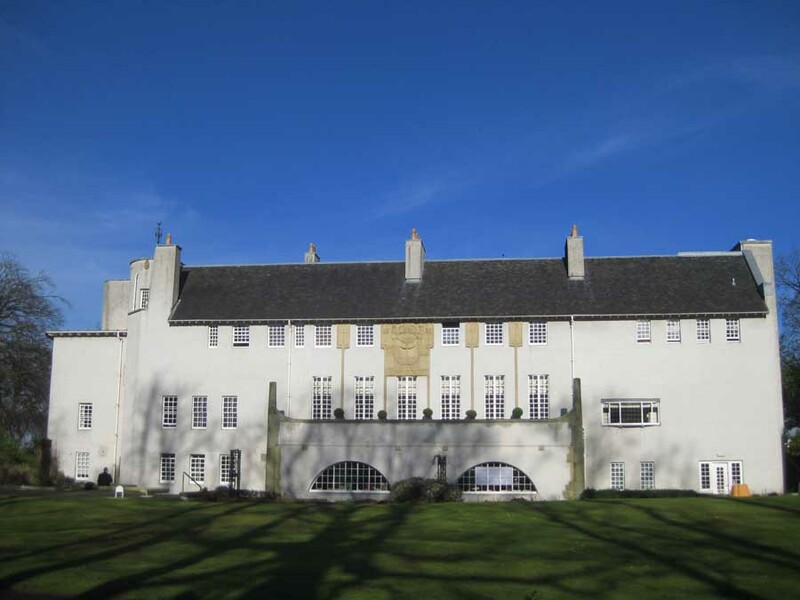 Graham Roxburgh and architect Professor Andy Macmillan were instrumental in creating Rennie Mackintosh’s House. The most visited museum in the UK outside London. The building opened in 1901 and is Category ‘A’ listed. 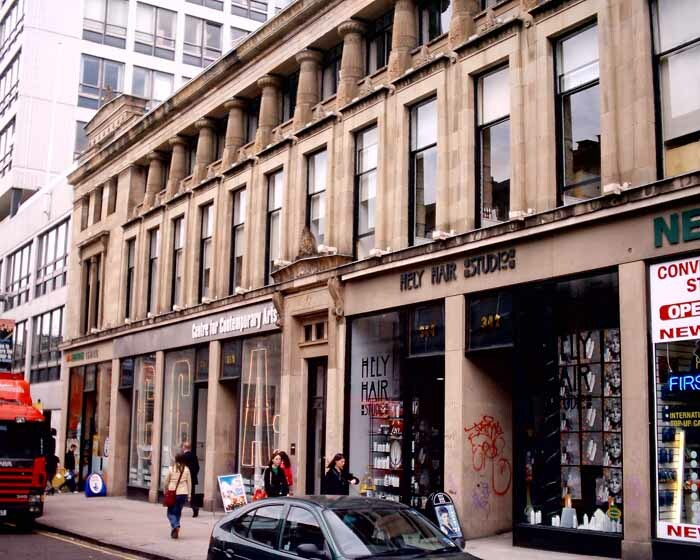 The sandstone building is a strong example of late Victorian architecture. A fantastic collection of art can be found in the galleries – including pieces by Botticelli, Rembrandt and Whistler. An intriguing collection in a beguiling building. 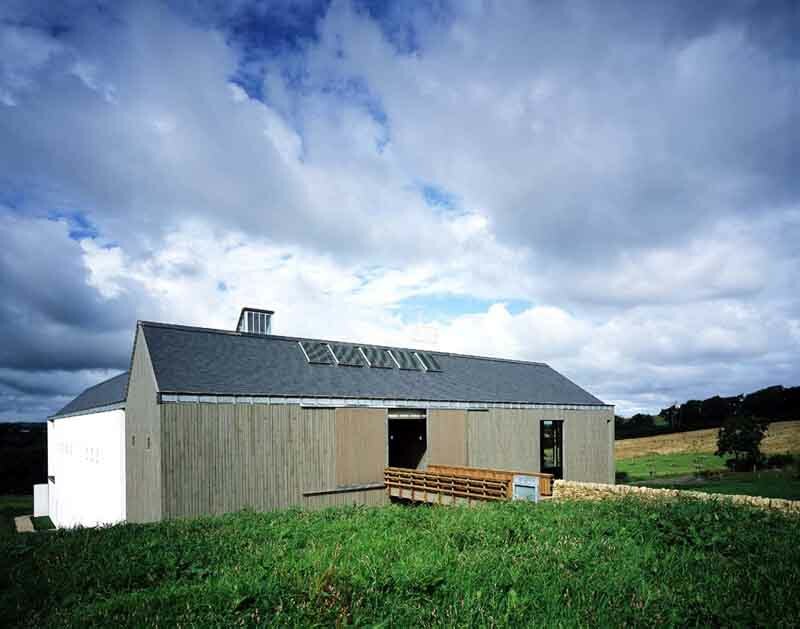 Most people will arrive at the National Museum of Rural Life by car no doubt, in which case they are greeted by a sombre barn-like facade with a simple bridge to the powerfrul entrance. The entry is guarded by huge symmetrical timber-boarded doors, and the bridge deals with the steep fall to the south. Materials inside are rustic in type and expression with two types of brick, dull grey concrete beams and purlins and timber block floors.